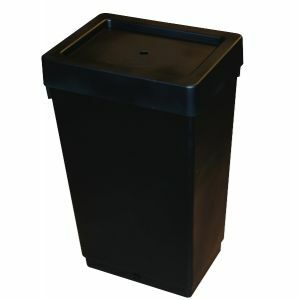 The AutoPot Nutrient tank 47 Litre. Has grommeted hole at bottom of reservoir that accepts standard 1/4 inch spaghetti tubing. Reservoir measures 15 inches wide by 12 inches deep by 24 inches tall. Cover fits snugly on top to keep debris out and evaporation minimal. Can be used with and is compatible with all Autopot auto systems!